A Diamond Select Release! Sculpted by Gentle Giant! 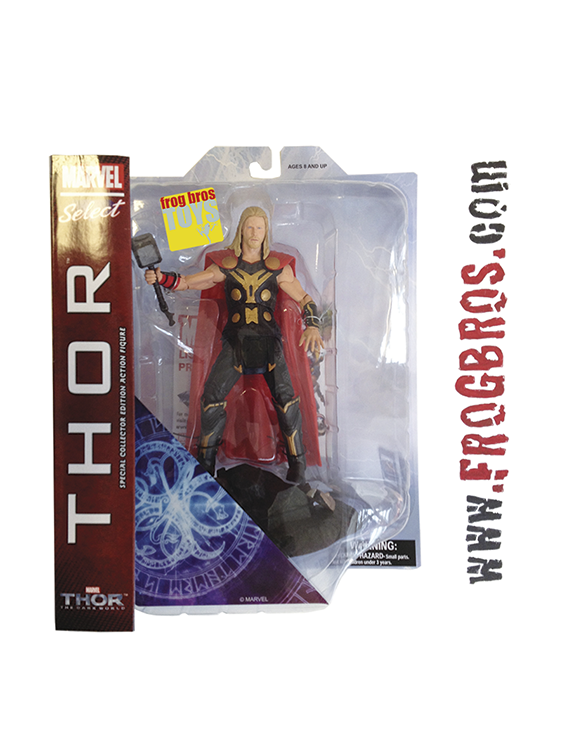 Thor, the Mighty Avenger, returns to the big screen this fall in Thor: The Dark World, and Diamond Select Toys has teamed up with Gentle Giant to capture his new on-screen look! Standing approximately 7 inches tall with 16 points of articulation, the new figure features the latest Thor costume, straight from the set of The Dark World, and an exacting likeness of Chris Hemsworth. The figure will come packaged with a detailed base that combines with Jane Foster's to re-create a scene from the film. Comes in display-ready Select packaging, complete with side panel art.